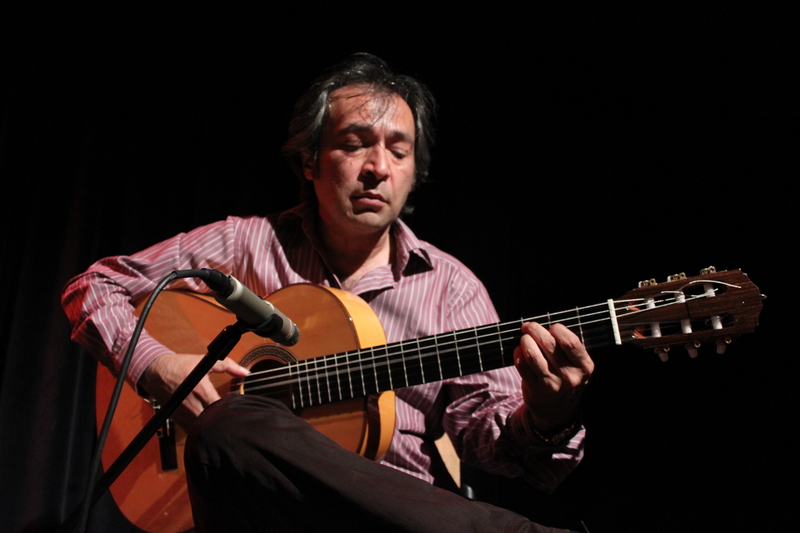 Afshin Ghavami is of Iranian origin and he is estimated as a virtuosic and sensitive flamenco guitarist. Afshin began his flamenco guitar training by Armin baker. Then he accompanied various Flamenco dancers. After studying classical guitar and jazz, he founded Afshin Ghavami Group, which played mainly his Latin jazz flamenco compositions. He spent several years as a guitarist of the group Cleopatra (the music of North Africa with elements of jazz and flamenco). Moreover Afshin Ghavami plays in various jazz, pop and world music sessions with musicians from around the world. Since the Ruhrstadt-Festival in 2013 he plays with the Positive Creative World Ensemble, Rechungpa & Friends and Dinesh Mishra project “Life is a Celebration” – among other things with Dinesh Mishra, Rechungpa, Edmund Held, Jorge Pardo, Stevko Busch, Rhani Krija, Nantha Kumar, Ignacio Bejar, Dirko Juchem, Abu Djigo, Omar Ka, Serigne Gueye and others.